We had a Hanami Party in Tokushima Central Park. It was very nice weather. Many non-Japanese people and Japanese people enjoyed conversation under the cherry blossom. Also we enjoyed with the foods everyone brought. They were delicious and great! 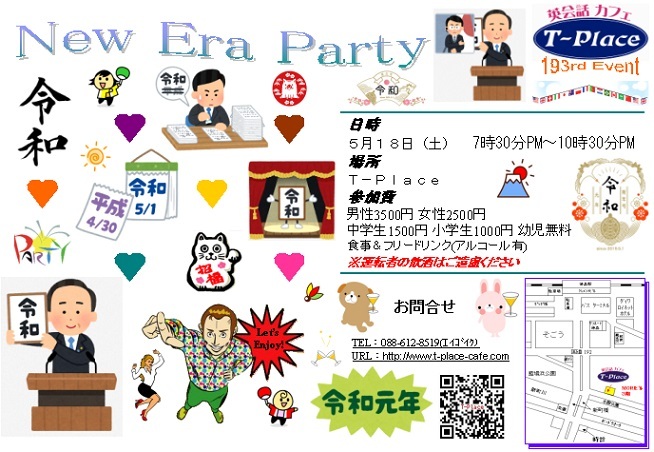 Thanks to everyone for a fun party and see you at New Era Party on Saturday May 18th! Hope to see you there! We had a White Day Party with many people of different nationalities. Eveyone enjoyed the party and cheese fondue this year too! Everbody loved it. And also everyone enjoyed and talked about different culture with them. Thanks everybody who came. 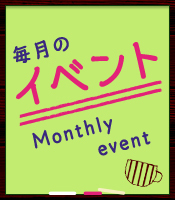 See you at Tokushima Central Park for Hanami Party on Sunday April 7th! Hope to see you there! We celebrated New Year 2019 and had a great new year party! Everyone enjoyed! And also everyone got nice? gifts, prize this year too! Thank you everybody who came. See you at Valentine Party on February 9th! Hope to see you there! We had a great our annual Christmas party this year too! One unique Santa Claus joined to the party and everyone enjoyed with him. And also everyone got nice gifts, prize, and enjoyed special Christmas cake decorated by children! Thank you everyone who came. See you at New Year Party on January 12th! Hope to see you there! Thanks to everyone who had the courage to try out some of our Unique Foods! There were anchovy, Marmite, Vegemite, Bhut jolokia, Gulab Jamun, and the infamous Surströmming... See you at Christmas Party on December 16th! Hope to see you there! We had a very scary & fun Halloween this year too. Especially some kids costume! And other lots of cute witches and ghosts. Thanks to Mary & Nathan for carving up the pumpkins! And also thanks everyone for coming to the Halloween Party! See you at Unique Foods Party on November 24th! Hope to see you there! We had a great barbecue party at the Tsukimigaoka Park! The weather was so nice! There were so many kinds of meat and fish, vegetable too. And also one customer's family cooked some dishes right next to barbecue place for us. These dishes were very nice. Everyone enjoyed them too. Thank you for cooking! And we had lots of great English conversation. Thanks for coming to the barbecue! See you at the Halloween Party on October 27th! Hope to see you there!